Antimatter is the arch enemy of matter. They hate each other so much that just by touching each other, a rather, explosive feud will ensue, obliterating everything in their immediate surrounding. Hence, storing antimatter has been a perplexing problem since just to be in contact with air (made of matter) let alone a matter container to hold it, is bound to get slightly a bit iffy, if not catastrophic. The problem was solved by a clever chap by inventing anti-antimatter. Anti-antimatter is a double negative making it the same as matter. Yet at the same time, it confuses the antimatter into thinking that its a double enemy of matter. The enemy of my enemy is my friend. 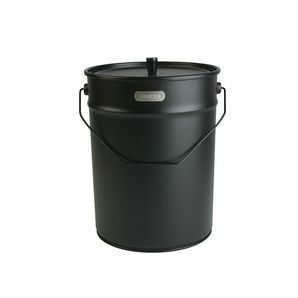 Problem solved, situation stabilised, anti-anti-matter bucket and cover et voila. Antimatter bucket. Cinch! Well done that man! This page was last edited on 12 January 2019, at 09:56.